Gear shifters are increasingly getting weird. Freed from the bounds of mechanical sense by computer control, and with designers allowing their interior packaging schemes to run amok, shifters are becoming strange afterthoughts. Is it now a button? A lever? A series of intricate eye twitches and neck spasms? In all seriousness, sometimes they get confusing, and confusion in cars tends to spell danger. Fiat Chrysler was forced to recall 1.1 million cars after 41 people got hurt, and actor Anton Yelchin was killed after possibly getting confused by the shifter in his Jeep. 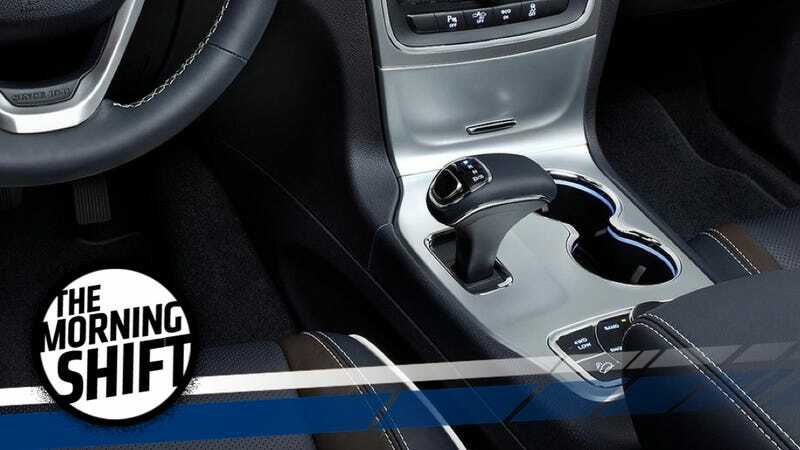 Consumer Reports believes so strongly that these types of shifters have the potential for harm that we are now deducting points from the Overall Score of any vehicle we determine has a shifter that is difficult to operate or that can be confused for other controls. We are also now deducting additional points from the Overall Score if a tested vehicle does not automatically return to Park or engage the parking brake when the engine is shut off, or when the driver’s door is opened with the engine running. Some vehicles, from manufacturers such as Ford and Honda, already employ both of these fail-safes. Chrysler went on to tell CR that it plans to change the shifter in the 300, but no dice from Lexus or Mercedes. Cool design is great and all, but not when it comes at a human price. Any potential fines levied if FCA is found to be in the wrong could total in the billions, and the SEC subpoenas don’t help. While the EPA and DOJ inquiries look like they would be looking into issues of environmental rule-breaking, the SEC investigation would seem to indicate that the federal government is looking into whether or not FCA defrauded investors. And when investors are pissed, that is not good news for any company. Britain’s biggest trade union fears that more than 1,000 jobs could be lost at Ford’s Bridgend plant despite reassurances from the U.S. carmaker that similar levels of employment will be needed in the coming years. Brexit was still a really bad idea. My grand prediction is that this definitely means we’ll see a new Toyota MR2 by the end of the year. Neutral: What The Hell Is Preventing A New MR2 Anyway? Not necessarily one from Toyota, I mean. But whatever happened to a relatively inexpensive, mid-engined car? What’s stopping it from happening again? I dunno, I’m old and crotchety today. BRING BACK MY YOUTH.